Home - Water Works Unlimited Inc.
Our expert installers treat every yard as though it was their own. Water Works Unlimited also uses Rain Bird irrigation products. Rain Bird has been the industry leader for over 75 years. Rain Bird designs and manufactures irrigation products with the highest value and quality. So why spend too much of it wrestling with tangled hoses and sprinkler equipment to get a picture-perfect lawn? Even then, you can’t be sure of getting the result you want. Rather than risk weather damage and avoidable maintenance cost to your landscape’s products, contact the experts for your winterization services today! We have been maintaining and servicing dozens of customers in Raleigh, Wake Forest, and surrounding areas in beautiful North Carolina. Regardless of how your current landscape’s system is configured, we can help! 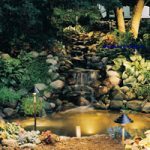 How Can Irrigation Save Water And Money? Delivering water directly to plants’ roots, resulting in reduced evaporation and optimal nourishment. Water management including but not limited to pond management. Appropriate and calculate delivery. We understand how much and how often your plants need. We factor in and plan for North Carolina’s hot and humid months, where dehydration and droughts become more common. Enjoy what we like to call “additional crop per drop”. Go ahead and rely on soil moisture, it is alright. At Water Works Unlimited, we believe in investing in state of the art equipment. This equipment, coupled with trained experienced personnel to operate it, ensures high-quality work with minimal landscape disturbance. 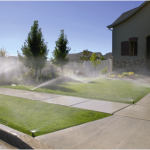 Contact The Irrigation Professionals Today! Waterworks gave me the best price of all the companies I contacted. Their work was professional, timely and attention to detail. I highly recommend them. Great price, quality equipment, and installation.